Consulting in implementation of an ERP system. 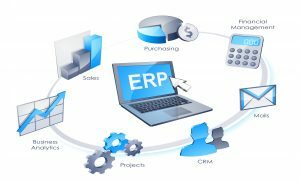 Getting a headache from the IT people implementing an ERP system? Out of control on the reports you need due to an ERP system? Is the ERP system determining what you get as information? Determining the information needed from the top. Top down business and functional analysis. Coordination of an IT developers team. Testing the managerial information capacity of an ERP system. An ERP system which works for the managers and not the managers working for the ERP system. Marc de Turck personally helped in the implementation of ERP systems in different governmental institutes and private corporations. Those projects where in subcontracting of Andersen Consulting (today Accenture), COMSHARE, UNISYS, KPMG, SIEMENS and INTRASOFT.